On Wednesday, Cowboys executive vice president Stephen Jones declared that the team fully intends on bringing head coach Jason Garrett back in 2015. As of now, Garrett’s four-year deal with the team, signed after the 2010 season, is set to expire at season’s end. This is a departure from the stance taken by owner and general manager Jerry Jones. The elder Jones said a few weeks ago that he’s not concerned with Garrett’s contract status and, for now anyway, Garrett isn’t either. Rather, Garrett’s focused on preparing for a big matchup with the Eagles. 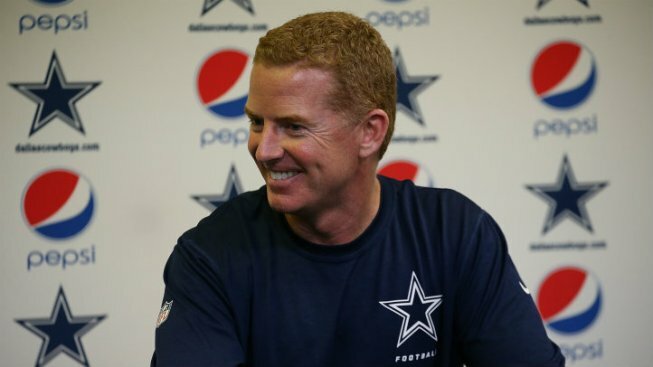 “All I have interest in is this practice that starts in 10 minutes,” Garrett said on Thursday.